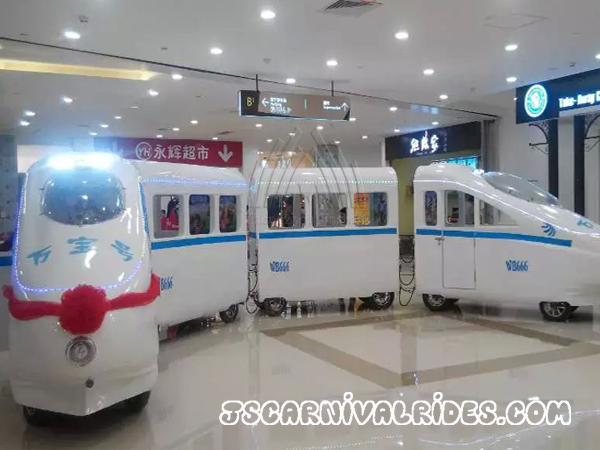 Jinshan Co., Ltd has the patent of mall train in the shape of high speed rail shape. It is our newest design. There are two locomotives and three compartments in the middle. 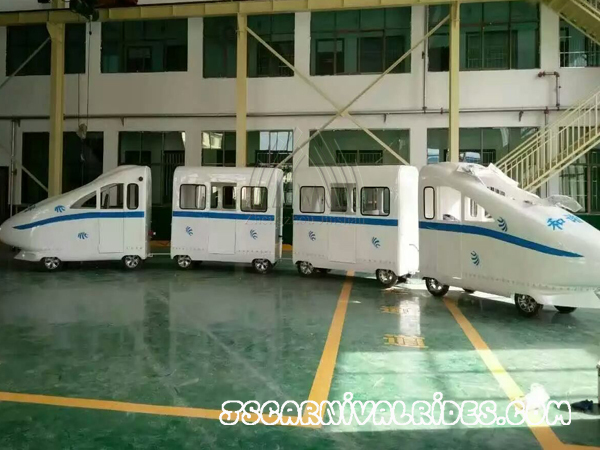 The middle compartments can take 6 people and the small locomotive can take 2 people. 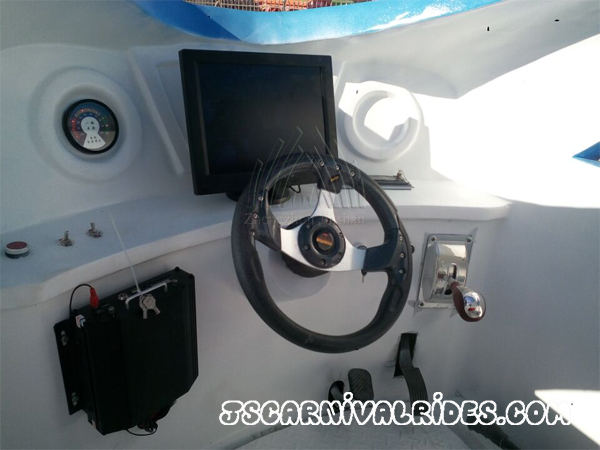 It looks full of modern sense for the streamlined body design and colorful LED light. 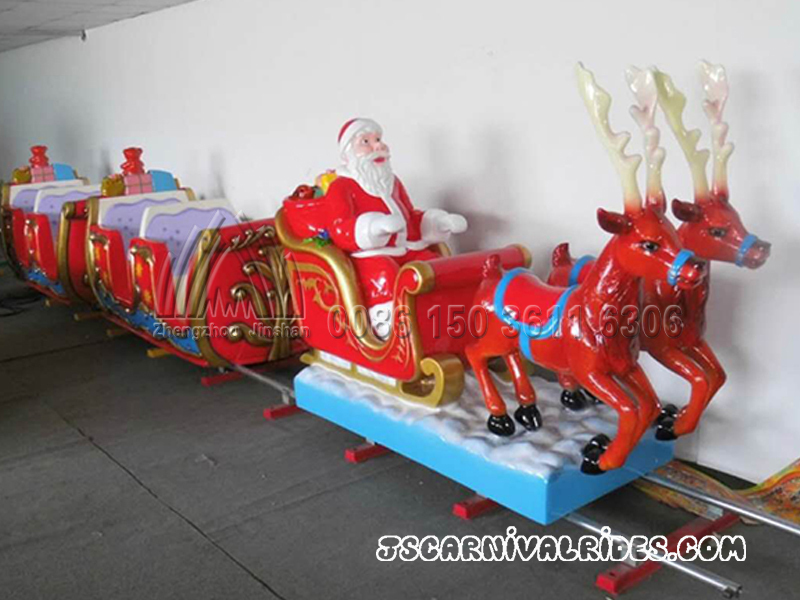 It’s a good choice for amusement park, theme park, shopping mall, playground and etc. 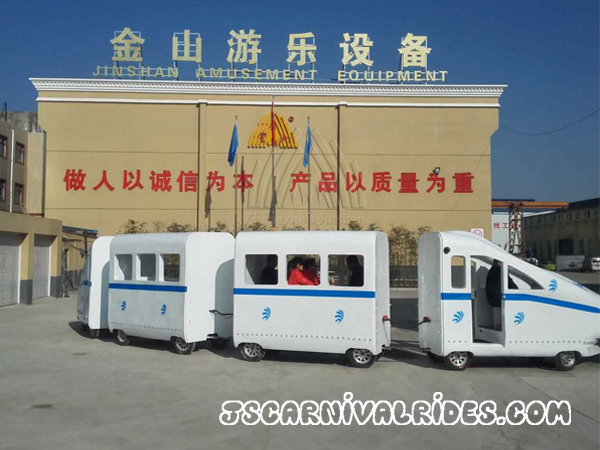 This mini train is a particularly fun amusement rides for children. 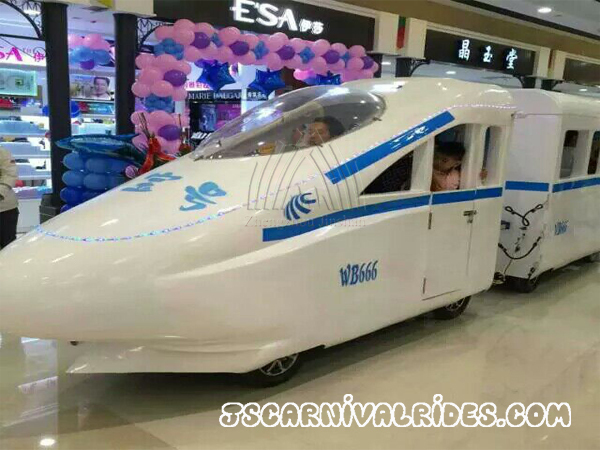 This mall train is designed according to the shape of cool Maglev train. The whole train body is bright and smooth. It’s very interesting for children to play. Each cabin is equipped with audio speakers, when the train start run and the audio playing the sounds of the song at the same time. The train carry the children running around in the park, just like ride on a real train. 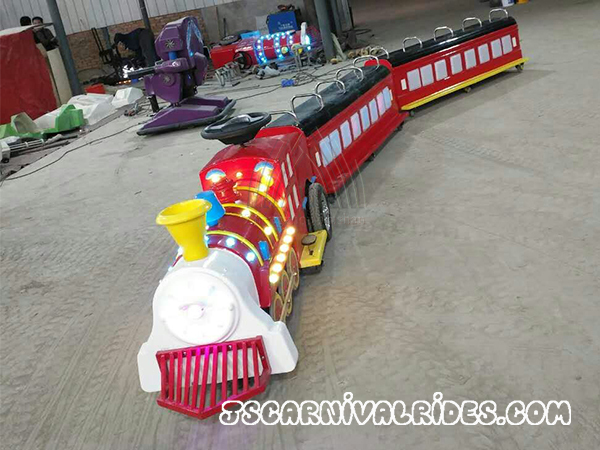 Speed adjustable, very safe, this carnival train can bring the child a very happy and wonderful ride experience. 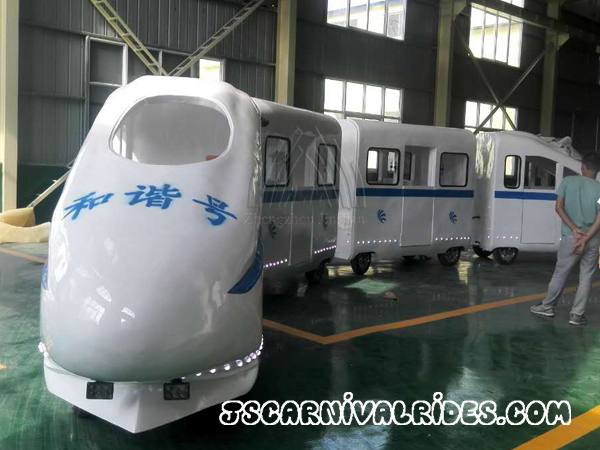 Jinshan factory provide various beautiful styles of train rides for you to choose, also we provide customized service as your requirement. 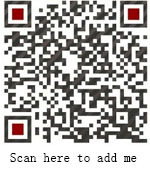 We warmly welcome every customer to pay attention to and inquiry any of our products. 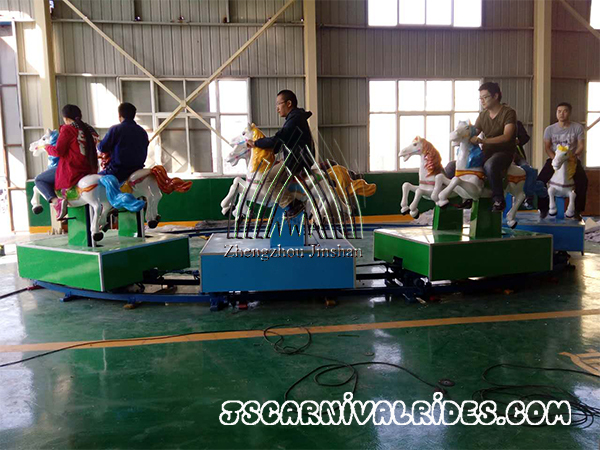 If you want to learn more information about the playground equipment or amusement industry, feel free to contact us!